Thank you Sasha Trubetskoy for this! 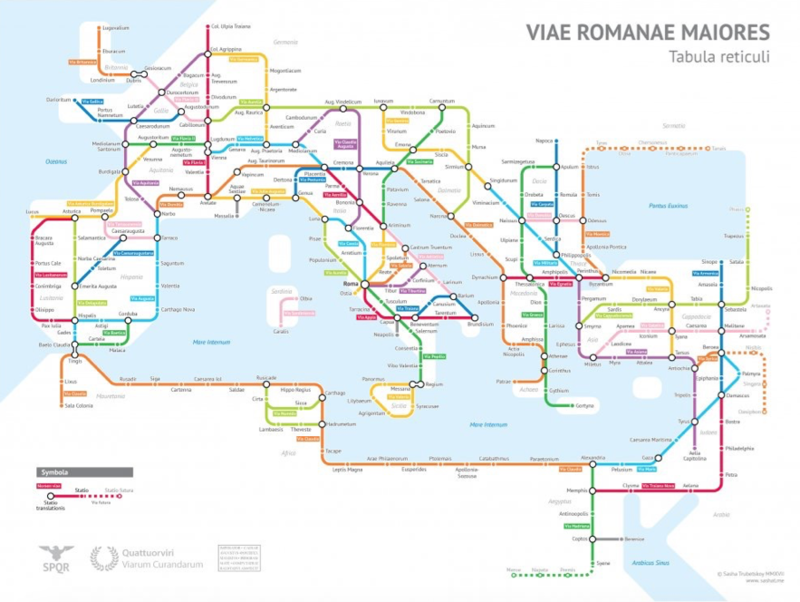 Could you imagine a entire Roman empire map, combining well-known historic roads, like the Via Appia, with lesser-known ones (in somes cases given imagined names)? Now we can… If you want to get a sense of scale, it would take, Trubetskoy tells us, “two months to walk on foot from Rome to Byzantium. If you had a horse, it would only take you a month.” Please, have a look! You can view the map in a larger format here. And if you follow this link and send Trubetskoy a few bucks, he promises to email you a crisp PDF for printing. Enjoy. This entry was posted in Art, BLOG, Maps. Bookmark the permalink.